Jennifer boasts nearly a decade’s worth of experience in public relations and has helped numerous nonprofits and businesses strategically and creatively exceed their goals. As the director of public relations for Conversa, a full-service communications firm based in Tampa, she specializes in developing, implementing, and managing comprehensive public relations and media campaigns to enhance the presence and brands of a diverse range of clients locally and at the statewide and national levels. 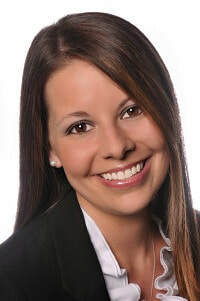 Jennifer is the immediate past president of the Public Relations Society of America (PRSA) Tampa Bay chapter, an organization she’s been actively involved with since 2011. She’s a former member of the Junior League of Tampa, and was named a 2015 “Up & Comer” by the Tampa Bay Business Journal.